As one of the elder statesmen of the DC universe, it’s about time that Shazam made his big screen debut. This is the first time that the hero formerly known as Captain Marvel has headlined his own film. In his heyday, Captain Marvel was arguably bigger than Superman. While his popularity in the public consciousness had faded, this film is about to change all of that. After nearly eighty years, Shazam! proves that late is better than never. It also offers a much needed breath of fresh air for the DC Extended Universe. 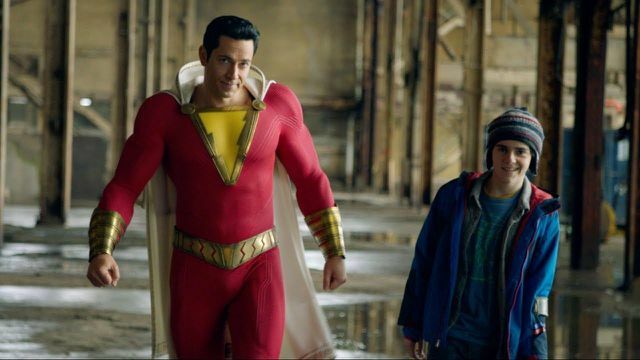 As the first of the live-action DC movies to explore the mystical side of the universe, Shazam! is a big departure from what’s come before. While the lighter nature of the movie will certainly draw comparisons to the MCU, the two entities aren’t mutually exclusive. One of the film’s defining features is the fact that it’s feels like a coming of age comedy wrapped up in the guise of a superhero blockbuster. It also provides an antidote for the hum-drum nature of many superhero movies that we’ve seen in the past. Although David F. Sandberg is largely known for his horror movies, this film proves that he has a lot more to offer. His steady-handed direction plays perfectly into the wish fulfillment of the premise. 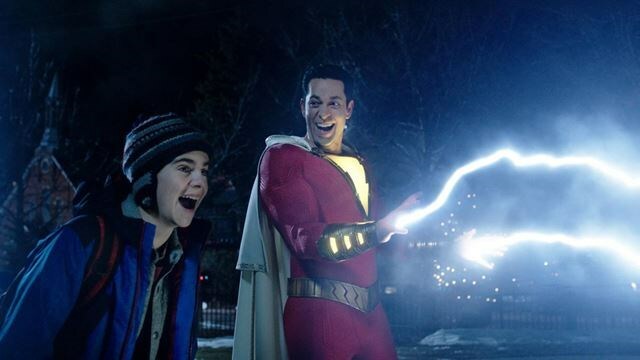 Sandberg’s direction in Shazam! is slightly less specific than that of James Wan in Aquaman. However, Sandberg’s approach is still distinct enough to make it refreshing. Shazam! is the first DC movie to completely nail the tone of its main character. Sandberg was able to find a nice blend between both the comedic and dramatic elements of the story. Shazam! never forgets to have fun along the way, which makes it feel more spontaneous and compelling than its predecessors. A large part of the movie’s spontaneity comes from Sandberg’s excellent and varied casting. Zachary Levi’s performance as the titular character is clearly a highlight, and he’s the perfect choice for the part. Along with Asher Angel’s turn as his teenage alter ego, the duo is able to sell the idiosyncrasies of Billy Batson. However, Jack Dylan Grazer’s Freddy Freeman really steals the film. Grazer is often used as the comedic relief, but he also makes the most out of his character. Grazer’s Freddy was easily one of the most memorable characters in the movie. While the cast and direction undoubtedly enhance the material, Henry Gayden’s script is truly a joy. The set-ups and pay-offs are extremely effective. However, it’s the way that Gayden’s script plays against expectations that allows Shazam! to really shine. The movie offers plenty of unexpected moments and laugh out loud gags. More importantly, it also brings just enough dramatic weight to be effective. While Shazam! does a good job of setting the characters up, it tends to rush through their respective journeys. This movie could be seen as a rip-off of Big, but Shazam! plays more like a homage to that movie. Both films cover similar ground of a teenager coming to terms with their identity. Regardless, there are enough new elements, like the family angle, to make it feel varied and fresh. However, the movie never really digs into the psyche of these characters. That means a few of the key players lack the development they needed to fully resonate. This lack of density is readily apparent with the film’s villain, Dr. Thaddeus Sivana. The better part of the first act is spent on establishing Sivana’s presence in the movie. And yet it still fails to create a unique and memorable antagonist for the hero. 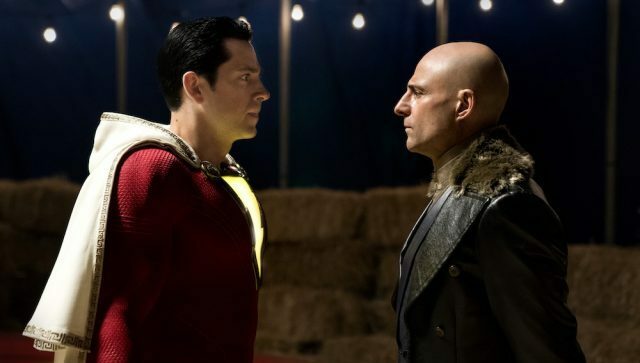 Not even the king of over the top villainy – Mark Strong – is able to save this character, despite a deliciously evil performance. While the pacing and action of the movie are solid, the climactic third act battle overstays it’s welcome. While a small scale, personal climax is appreciated, it’s not varied enough to justify its length. Despite the few elements that were mentioned above, Shazam! offers a fun and lighthearted experience. Shazam! has enough heart, humor and action to appease fans of the character. It’s also DC’s first family-oriented film. While Wonder Woman is still probably the best movie in the DC Extended Universe, Shazam! is the easiest to watch because of its sheer entertainment value. 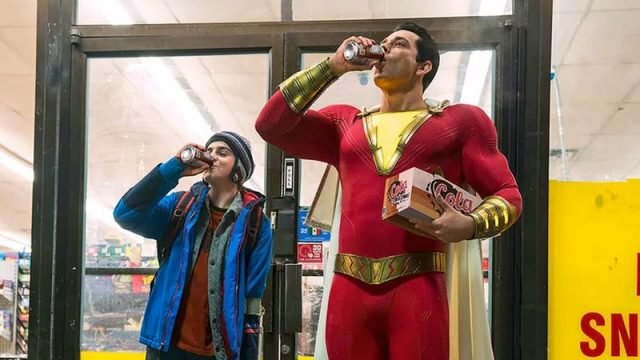 Time will tell if the film holds up on repeat viewings, but Shazam! is ultimately a fairly light and heartwarming superhero romp that marks another much needed win for DC.